Fantastic one level home tucked away on a quiet, tree-lined street in Royal Palm. Soaring ceilings throughout! Gorgeous marble floors in common areas, wood floors in the bedrooms. Kitchen overlooks a large family room that leads out to a lushly landscaped, private backyard pool area. Walk through the gracious foyer to the light, bright living room. Large windows overlook pool area. Master suite features his and her separate baths and closets. Patio area is surrounded by thick, high hedges that provide a private, spa-like feel. Over-sized three car garage. You don't want to miss out on this one! Lot Size: 0.3 Acres / 12959 Sq. Ft. Directions:Camino Real East of Federal Hwy to first right on Royal Palm Way. Follow the road as it bends to the right. Left on Areca Palm Rd. Down on the right. SchoolsClick map icons below to view information for schools near 2391 Areca Palm Road Boca Raton, FL 33432. 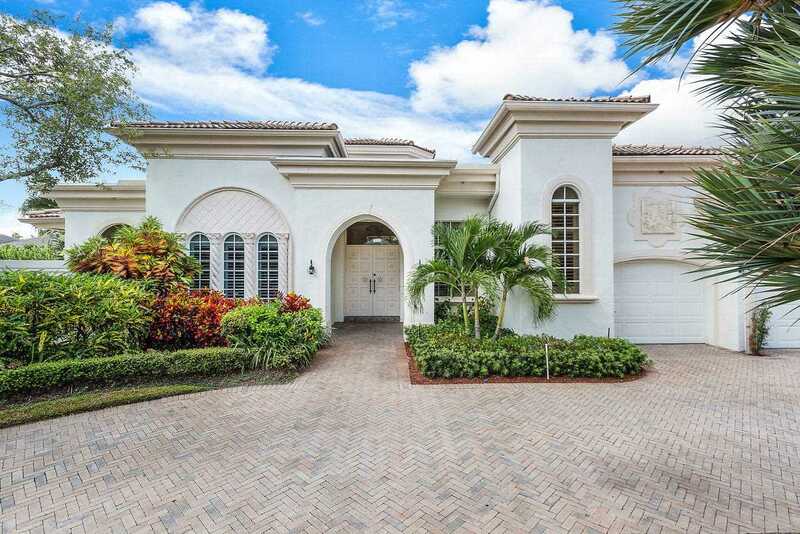 MLS # RX-10469960: This property at 2391 Areca Palm Road, Boca Raton, FL 33432 is located in the Royal Palm Yacht & Country Club subdivision and is listed for $1,750,000. MLS # RX-10469960 has been on the market for 118 days.